Here’s another lie I’ve heard my whole life in church buildings: “The Gospel” is the good news of what Jesus DID for you (died on a cross & rose again) and if you believe THAT you will go to heaven. Let me just say upfront; I absolutely DESPISE lies, for I hate evil! So if my words seem harsh at times towards people (or religions) who claim to be God’s spokesmen (speaking God’s Truth on Earth) when they really are NOT … THAT upsets me!!! Do you know why? Because I know these liars are deceiving my brothers and sisters all over this planet concerning the Truth of what MUST be DONE to obtain eternal life. Thus, they are leading folks astray, towards an eternal destiny of hurt, and that greatly angers me! 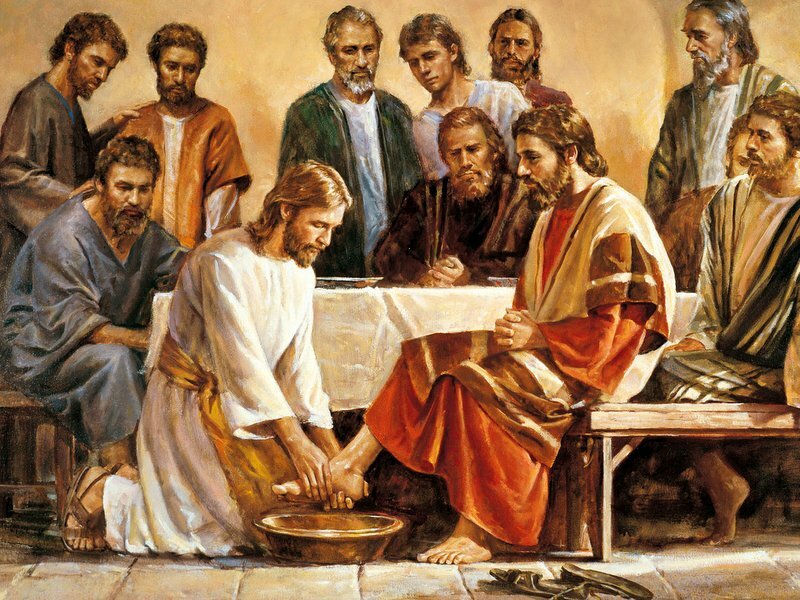 The Pharisees were doing this exact thing in Jesus’ day, and he had some choice words for them: “Woe unto you, scribes and Pharisees, hypocrites! For ye compass sea and land to make one proselyte (convert), and when he is made, ye make him twofold more the child of hell than yourselves!” (Matthew 23:15). Friend, please don’t be offended at my words, for they are rooted in love for you. I want you to go to heaven. I’m genuinely concerned about your soul’s eternal destiny. Listen, the same Spirit that was in Christ, John the Baptist, and all the Prophets is in me, so it should not surprised you at all if my words become harsh and angry towards religious deception. With that being said, do you want to know God’s truth in the Bible concerning what “The Gospel” is? “The Gospel” is everything Jesus TAUGHT! It is every parable, every story, and every direct teaching he uttered. And it is ALL based on love! Thus, “The Gospel” is really just God’s instructions (through Christ’s mouth) on how we are to “obey the 10 love commandments”. 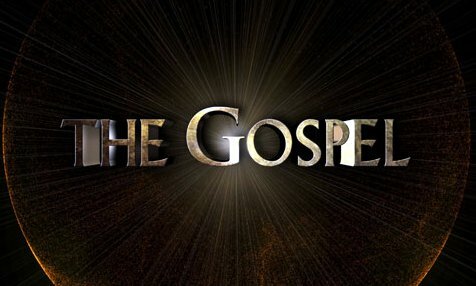 Yes, “The Gospel” is something that needs to be obeyed! Listen to Paul: “The Lord Jesus shall be revealed from heaven with his mighty angels, in flaming fire, taking vengeance on them that know not God, and that OBEY NOT the GOSPEL of our Lord Jesus Christ” (II Thessalonians 1:7-8). Listen to Peter: “What shall the end be of them that OBEY NOT the GOSPEL of God?” (I Peter 4:17). In last week’s blog (read here) I taught you that “Believing in Jesus” means to believe in what he TAUGHT (proved by your obedience to his teachings) and not just in what he DID. Well, now you know it is exactly the same with the Biblical term “The Gospel”. For “The Gospel” is really God’s (or Christ’s) teachings concerning the ways of "Good”, which are the ways of love. Thus, "The Gospel" is the “GOOD” - News! So, do you believe in Jesus? Do you obey the Gospel of Christ? For a quick view of "The Gospel (10LC's)" click HERE and scroll down to the chart. Approximately 850 Weeks (Sabbaths) Remaining Till Christ's Return! Do You “Believe In Jesus”? I sat in church buildings in Lancaster, Pennsylvania week after week, year after year, as a child, teenager, and young adult listening to and believing the message that “Believing in Jesus” means to "Believe in what he DID (i.e. died on a cross and rose again)”, and that if I mentally believed that, I would go to heaven. Well, was I ever SHOCKED when God the Father began showing and telling me through His Word (Bible) in AD 2006 - 2007 that I had been lied to all my life! Can you imagine? Friend, this is Satan’s biggest and most damning lie told in the religion of “Christianity”. Yes, horrifyingly, Satan is using religion – specifically, the religion of “Christianity” – to deceive people and ultimately send them to hell! So, do you want to hear the TRUTH about what the Biblical phrase “Believing in Jesus” means? It means to “Believe in what he TAUGHT” proved by our obedience to those teachings in our daily living! And what did Jesus continually teach in story after story and parable after parable? LOVE!!! Every one of his teachings (with respect to what WE must DO to obtain eternal life) was based on obeying the 10 Love Commandments … don’t be proud but be humble, don’t idolize dirt but idolize spirit, don’t murder but forgive, don’t commit adultery but honor the marriage bed, don’t steal but give, don’t lie but speak truth, don’t covet but be content, etc. Do you see? These things are all just the specifics of how one keeps the Golden Rule: “Do for Others what you want them to Do for You” (Matthew 7:12). It's just love folks! But THAT is precisely what people don’t want to do! James argued this well when he wrote: “Thou believest that there is one God; thou doest well: the devils also believe, and tremble. But wilt thou know, O vain man, that faith without works is dead?” (James 2:19-20). Here’s the deal folks; every devil in hell believes in what Jesus DID! They know it with absolute certainty, for they were there. They watched it happen! They absolutely know Jesus is the one in whom mankind can receive forgiveness for their sins. But do you know what they do NOT believe in? LOVE !!! In other words, they do NOT believe in what Jesus TAUGHT! They know nothing about it, for they are full of darkness. They only know the ways of pride (selfishness) demonstrated through greed. Therefore, they will NEVER get to heaven. I can use James' words above (with respect to what "believing in Jesus" means) and truthfully write to you: “Thou believest that Jesus died on the cross for your sins; thou doest well: the devils also believe, and tremble. But wilt thou know, O vain man, that Faith (believing in Jesus) without works (of love) is dead?” I avidly encourage you to rise every day and recite the following words until the message sticks: “Believing in Jesus does NOT mean to believe in what he DID, it means to believe in what he TAUGHT.” Then ask yourself, “Do I believe in Jesus?” Remember, “Whosoever BELIEVETH IN HIM shall not perish, but have everlasting life” (John 3:16). Watch Video "Faith (What does it mean to 'believe in Jesus'?)" Approximately 851 Weeks (Sabbaths) Remaining Till Christ's Return! This past week I’ve been reflecting on the incredible symmetry and beauty in God’s Creation. It’s in the animal kingdom. It’s in the plant kingdom. It’s in the tiny atom and the huge solar system. It’s everywhere! Everything God created is ordered, logical, and beautiful. Look at your body in the mirror. If you draw an imaginary straight line down the center of your body, from the top of your head to the floor, notice how everything you have one of (nose, mouth, belly button, etc) is centered perfectly on that line and everything you have two of (ears, arms, toes, etc) is centered perfectly across that line. You are beautiful! Your physical body is a symmetric work of art! How about a flower’s bloom? Incredible! It contains an amazing array of colors and shapes in beautiful circular symmetry. 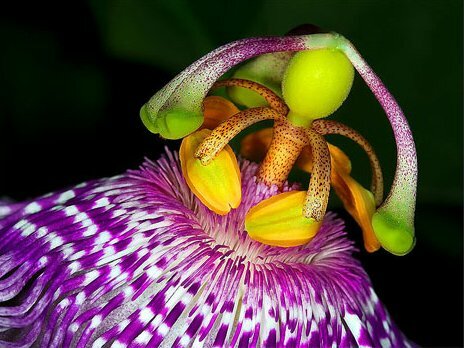 Breathtaking pedals softly surround the centered stamen structures. It’s remarkable to behold. And then the thought hit me this past week ... how could this VERY SAME Creator God who wanted and desired to create everything physical with such beauty, symmetry, and order, have not ALSO created His Master Time Plan in the same fashion – i.e. with beauty, symmetry, and order? Hallelujah, HE DID !!! Yes, before God even began to create the universe He carefully thought through His plan … the Messiah, Christ Jesus, would come to Earth and DIE (on a cross) and ASCEND back into heaven during the beautiful, symmetric, whole numbered year of Earth’s 4,000 trip around the sun, and then RETURN to Earth as King of kings during the equally beautiful, symmetric, whole numbered year of Earth’s 6,000 trip around the sun. Thus, God planned for Jesus Christ to destroy the power of the enemy, triumphing over death, when 66.6% (number of the Antichrist) of this 6,000 year age of sin was over! Really, could it be more beautiful? Click HERE for a glimpse at God's beautiful 7 Day (7,000 year) Master Time Plan. Approximately 853 Weeks (Sabbaths) Remaining Till Christ's Return!